Bestselling author Kelly Collins welcomes you back to Aspen Cove, the tiny Colorado town where anything can happen if you just open your heart and mind. Pop Star Samantha White walks off the stage and disappears into the crowd of cheering fans. After ten years as music sensation Indigo, she needs to figure out who she really is. 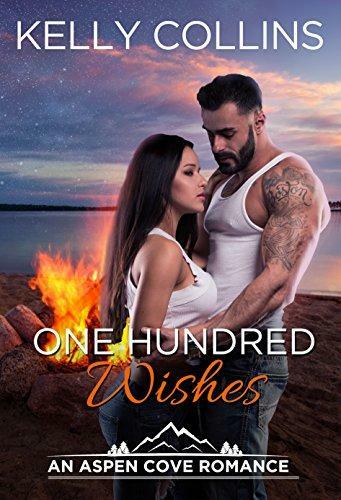 With her manager pressuring her to sign a new contract, Samantha runs to the only place she remembers with fondness—Aspen Cove—a small town that embraced twelve-year-old Samantha when she and her mom had to hide out from her abusive father. She’s sure that a few weeks of peace in a secluded cabin will be exactly what she needs to figure out where her life will go from here. But when Dalton Black storms into her life, Samantha realizes she may not get the clarity and calm she’s seeking. If she plays her cards right, she’ll get something better—love. Dalton Black doesn’t ask for much. But then again, he knows most people would say he doesn’t deserve much—not after spending six years in prison for murder. He’s carved out a quiet life in Aspen Cove where he knows who is friend and who is foe. Just when he’s accepted that his life will be a string of one-night stands, he meets Samantha White and everything changes. Can a famous singer find her forever with a felon? Or will the secrets they keep tear them apart? Find out in One Hundred Wishes.